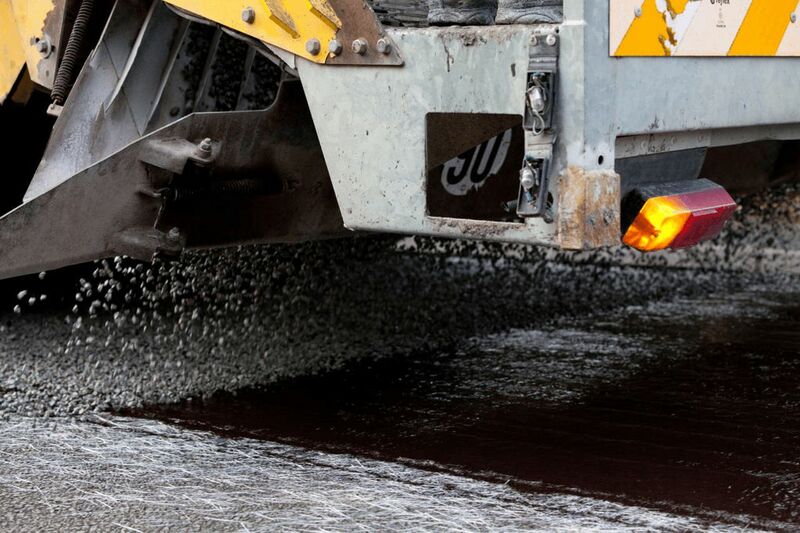 Simon PavingNewsUncategorizedWhy Asphalt Paving Is Becoming More Popular Than Concrete? Both concrete and asphalt have ruled the market of paving for a long time. Now both of these two materials have their own pros and cons, yet asphalt has been proved to be a better choose. Like other states, paving contractors in Michigan are also using asphalt regularly for pavements, parking lots, driveways. It has been a very common question for an asphalt company that which one is better concrete or asphalt. The answer may be shocking for everyone yet it is true that both of them are good. Concrete is much harder than asphalt and need less maintenance. On the other hand asphalt is more environmentally adoptable. Concrete paving for parking lots, driveways and garages sought higher price than asphalt. Experts of paving contractors in Michigan also agree with this. But everybody accepts that a concrete pavement lasts very long and rarely gets damaged due to the toughness in structure. So the maintenance cost is comparatively low. According to the professional experts of Asphalt Company, as asphalt is soft than concrete and needs constant maintenance work like sealing, crack filling and many more. This gives a hike in the maintenance cost of asphalt pavements. The preparation for asphalt pavement making is relatively simple than concrete pavement. It can be built directly on the driveways, parking lots. Asphalt is also good for repair potholes cracks, rutting. Asphalt is also very durable in climatic change, which is very useful in a state like Michigan. Also asphalt takes less time to set than that of concrete. Asphalt is eco-friendly and a recyclable material for paving; this is very beneficial for an asphalt company. At this point asphalt gets a beneficial position in the eyes of paving contractors in Michigan. From the view point of a customer laying an asphalt pavement is pocket friendly than laying a concrete pavement. Though it is true that the earlier one needs more attention and maintenance still asphalt proved to be the best option in personal budget. Concrete is durable for nearly 20-30 years. But if damage occurs in concrete than you have no choose other than changing the whole project, whereas damages in asphalt initiates in a small manner. So big damages can be avoided with timely maintenance. Also an asphalt pavement is a very stylish one for a beautiful home.